Communists in London celebrating May Day. 1928. 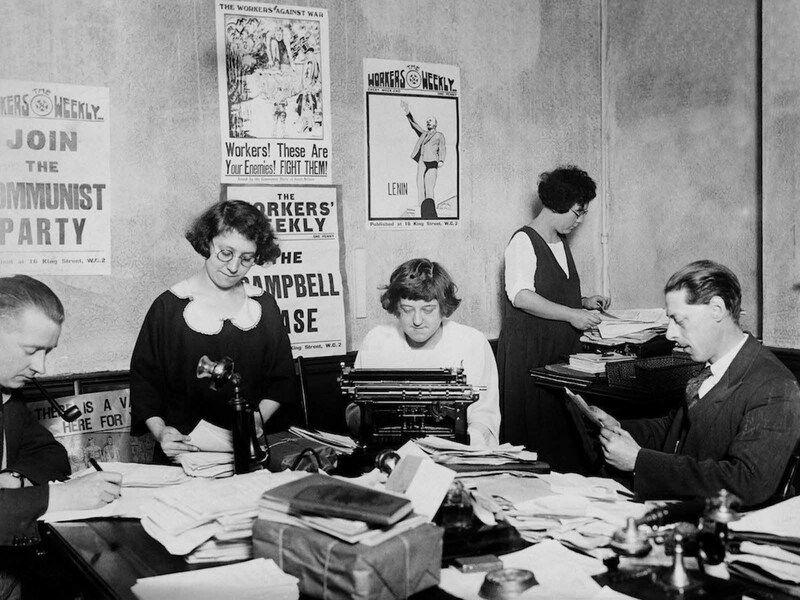 In 1920, a group of revolutionary socialists attended a meeting at the Cannon Street Hotel in London. The men and women were members of various political groups including the British Socialist Party (BSP), the Socialist Labour Party (SLP), Prohibition and Reform Party (PRP) and the Workers’ Socialist Federation (WSF). It was agreed to form the Communist Party of Great Britain (CPGB). It later emerged that Lenin had provided at least £55,000 (over £1 million in today’s money) to help fund the CPGB. 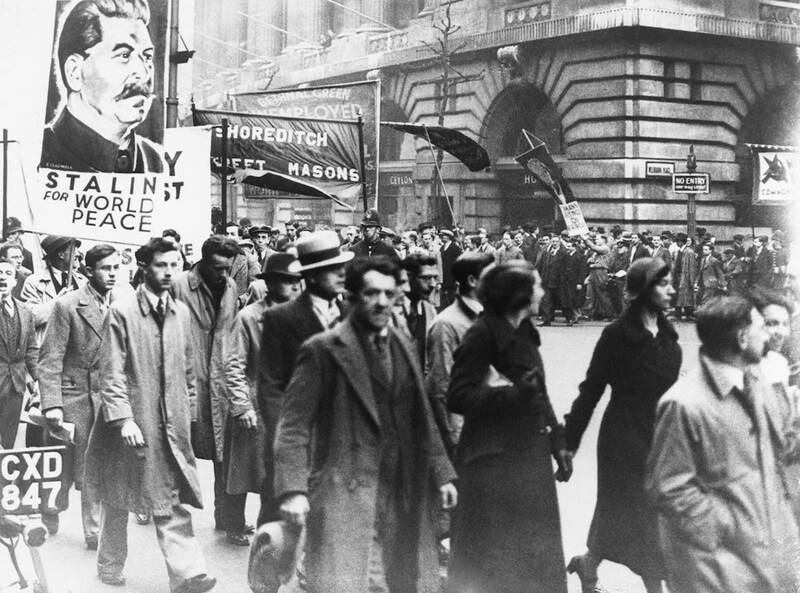 Prior to the 1926 British General Strike, large numbers of the CPGB’s leaders were put in prison under the charge of “seditious conspiracy”. But the CPGB’s support for the strike swelled its membership, particularly in Glasgow, East London and Wales, parts of which became known as “Little Moscow”. The party was active in organising various rallies and demonstrations. 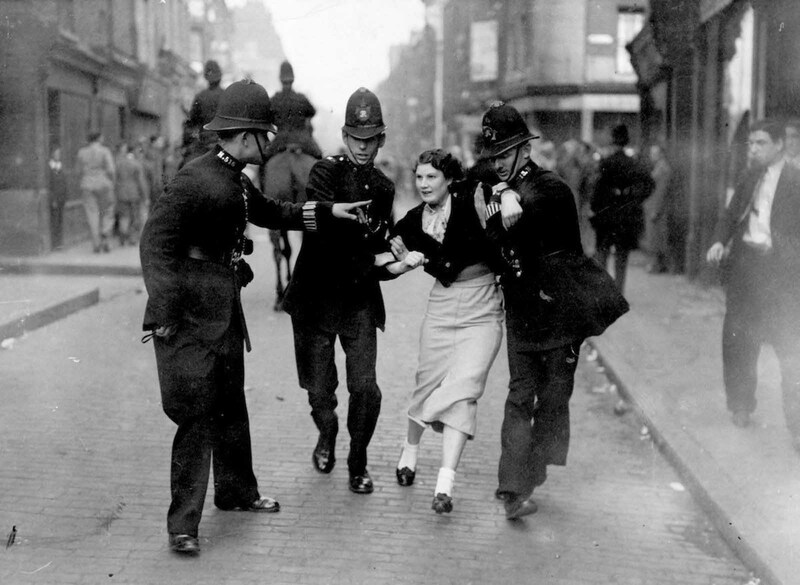 Some of these ended in violence, notably in 1936 when Communist marchers clashed with the Blackshirts, members of Oswald Mosley’s British Union of Fascists, in and around London’s Cable Street. 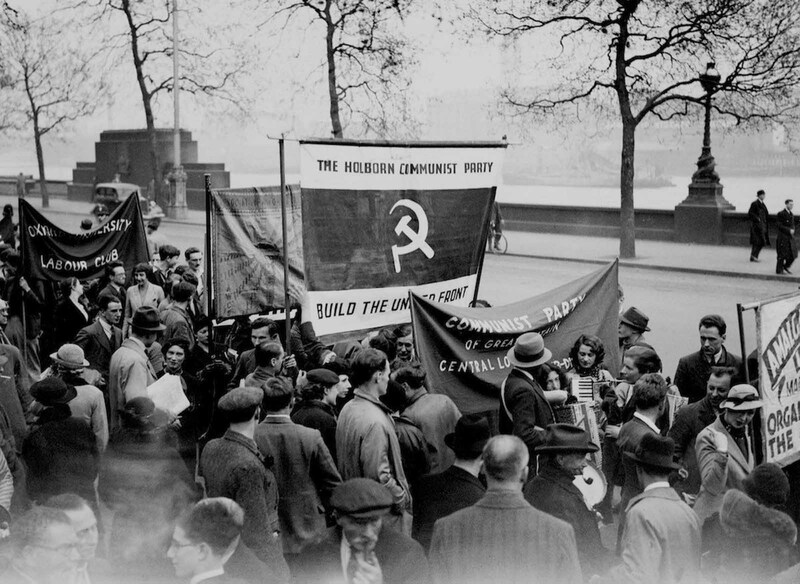 From a body of only 2,555 in November 1930, membership the CPGB reached its high watermark in 1943 at 60,000 and it received 103,000 votes in the 1945 General Election, leading to two elected Communist MPs. The following year the CPGB received more than 500,000 votes in local elections and boasted 200 councillors as a result. From 1945 to 1956 the party was at the height of its influence. It experienced its greatest loss of membership after the 1956 Hungarian Revolution. Despite being directly funded by the Soviet Union from 1956 through to the late 1970s, the party became something akin to a pressure group and was further weakened by internal strife. In 1991, after the collapse of the former Soviet Union, the decision was taken to disband the party for good. A Communist float covered with fliers from the Sunday Worker (the Sunday edition of the Daily Worker) and the Tottenham Labour Party, during a May Day parade and the Feast of Oratory in Hyde Park, London. 1928. 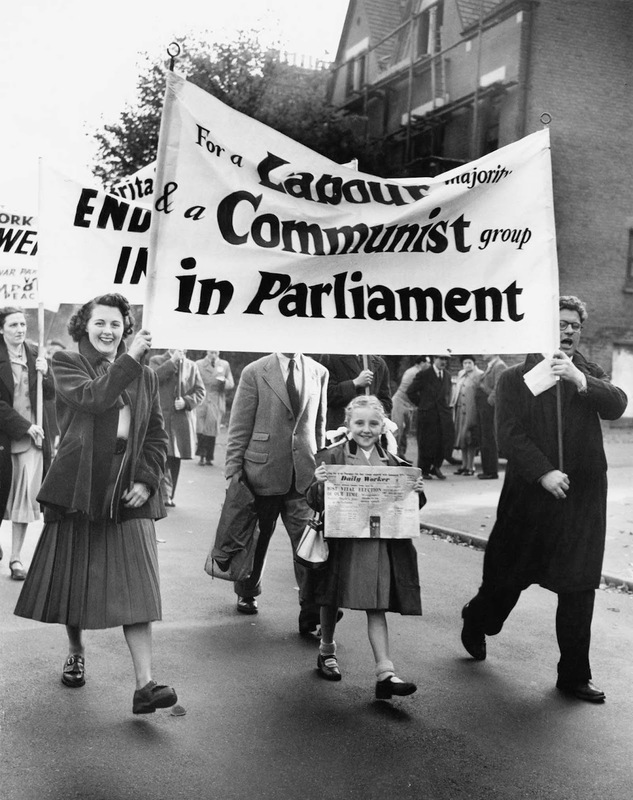 A woman leading a Communist march in London. 1928. 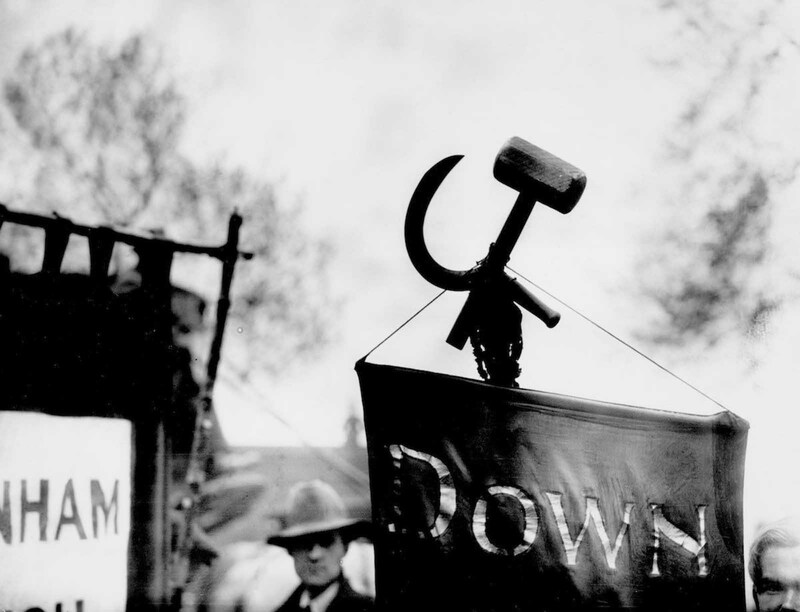 A hammer and sickle attached to a banner at a May Day Labour demonstration. 1928. Communist Party electioneering campaign in England. 1928. 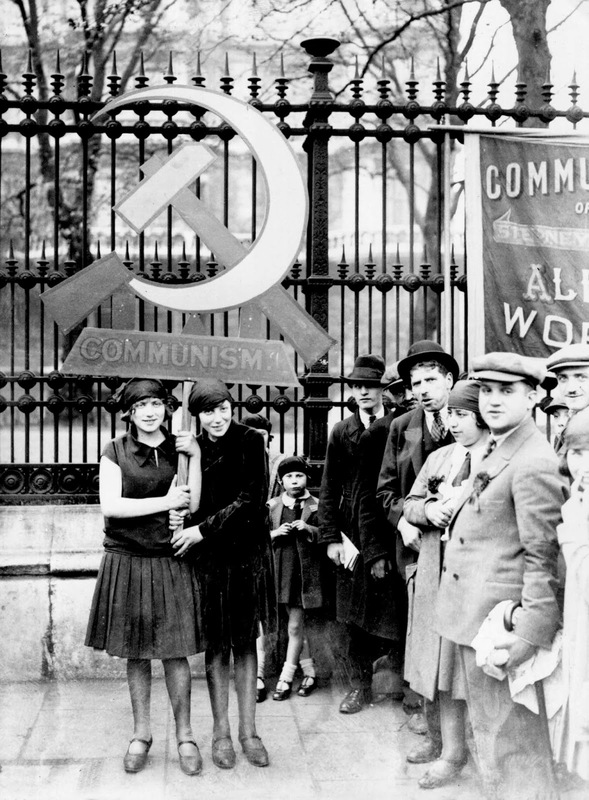 A Communist demonstration in England. 1928. 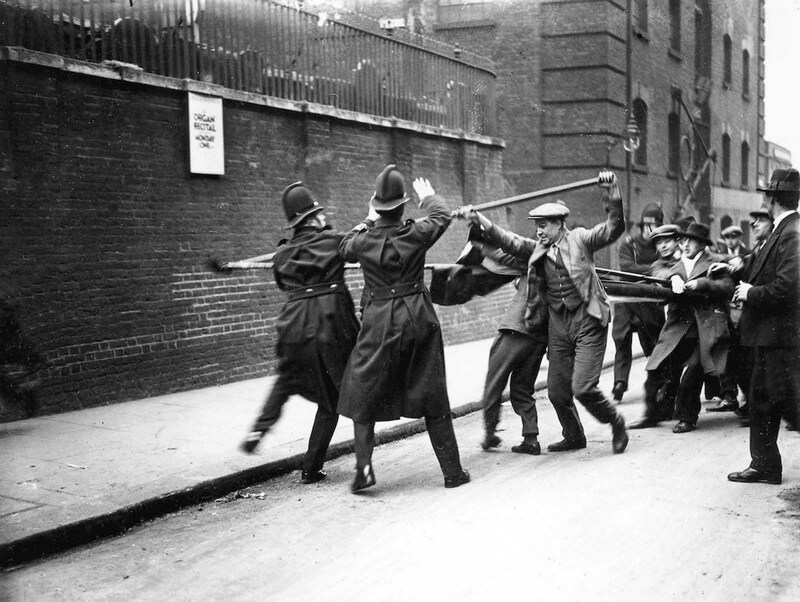 Tower Hill, London – Communists armed with batons, fight police during a demonstration against unemployment. 1930. 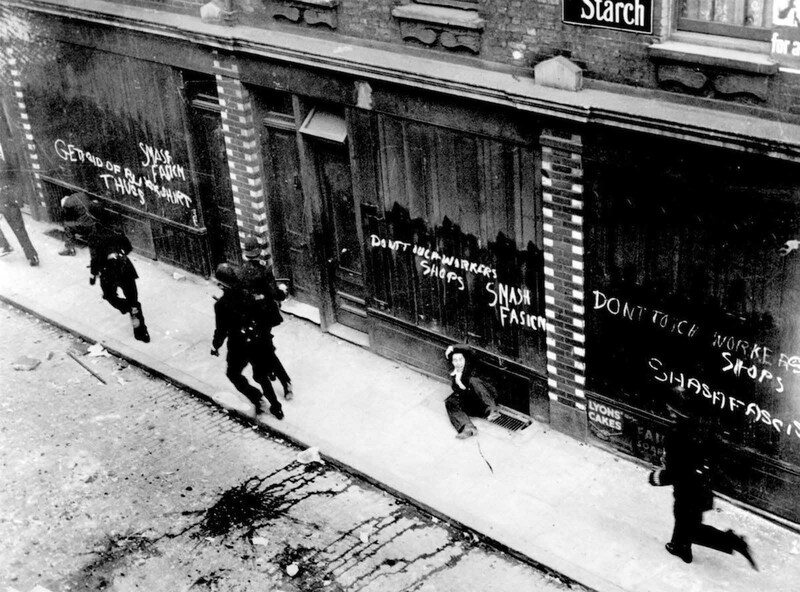 Communist loyalists attempt to stage a riot in London. 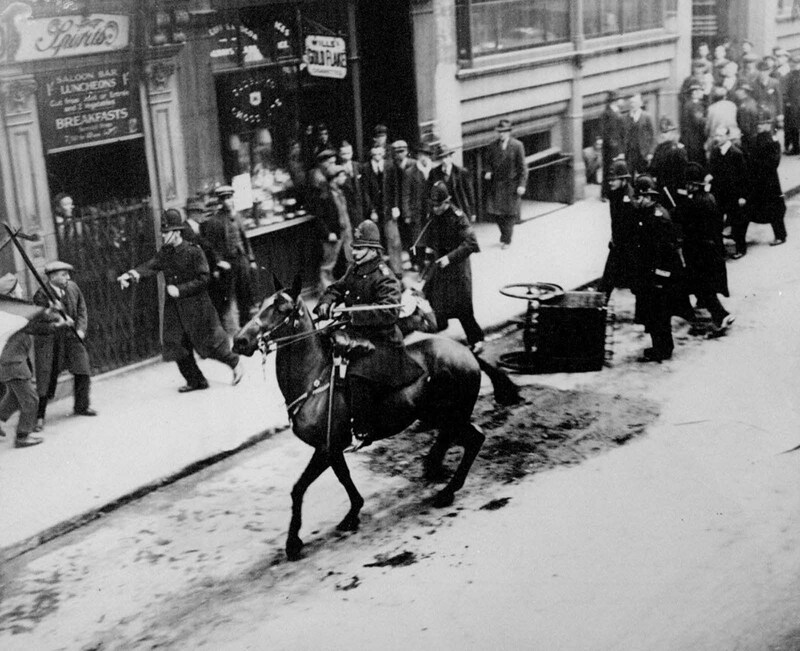 The horse mounted police officer is armed with a sword. 1930. 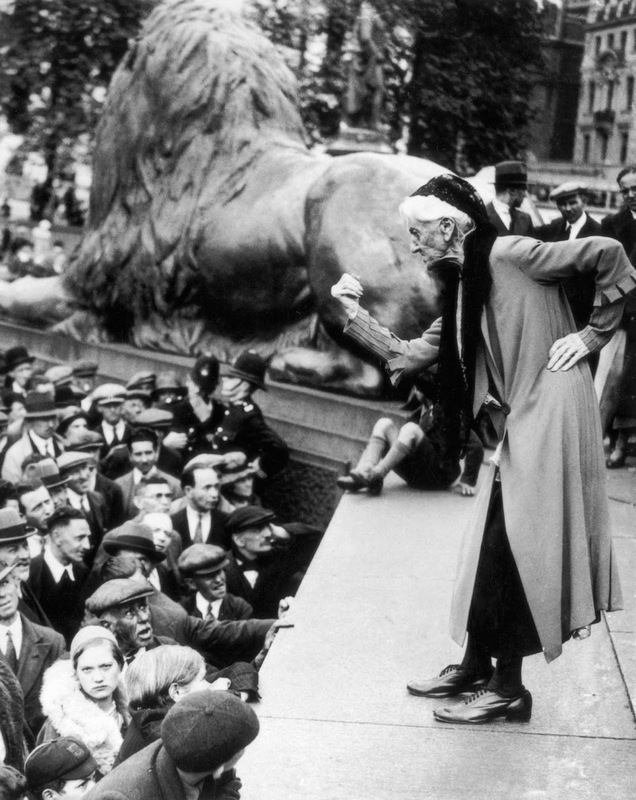 British suffragette Charlotte Despard (1844-1939) addresses the crowd in Trafalgar Square during a Communist rally. 1933. 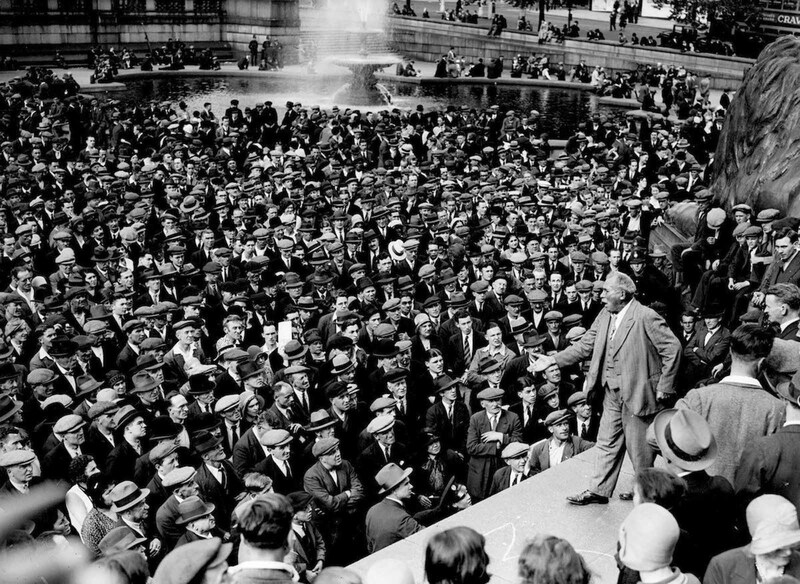 Veteran Trade Unionist Tom Mann (1856-1941) addressing a Communist meeting in Trafalgar Square, London. 1931. May Day Communist demonstration in Hyde Park, London. 1936. 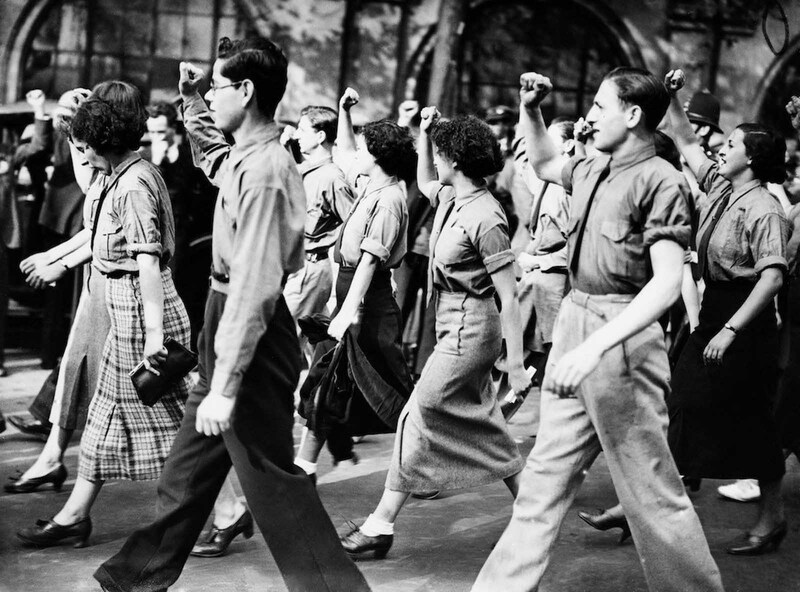 English Communists marching in London. 1936. 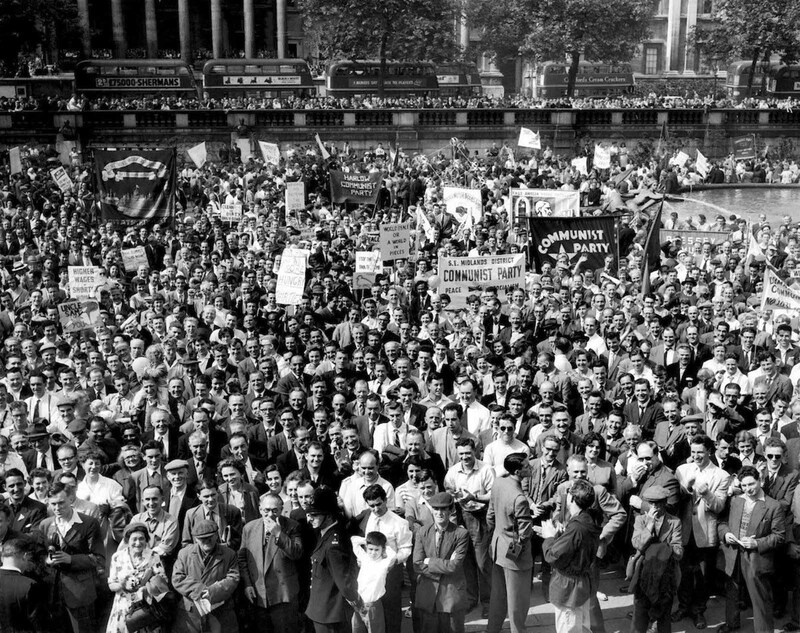 Marchers at a Communist demonstration in London. 1936. 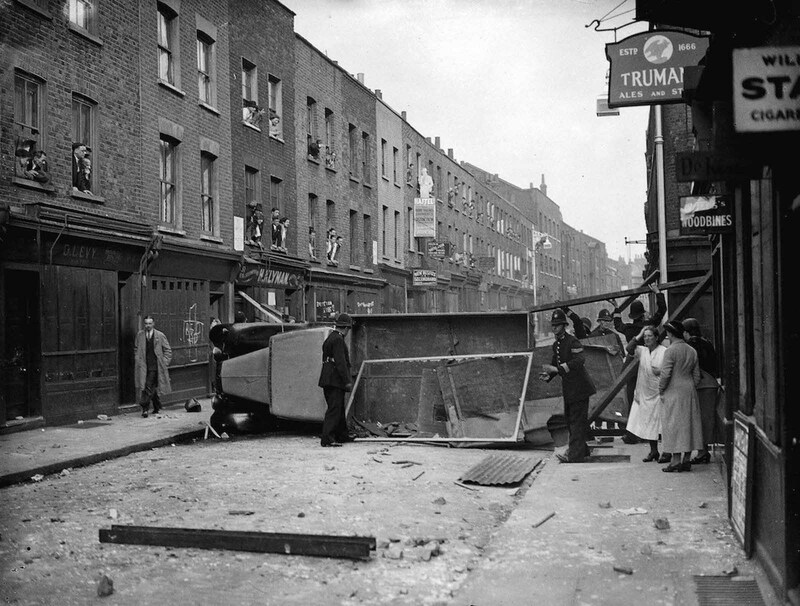 East London – Police remove an overturned lorry used as a barricade during the Communist-Fascist riots in Cable Street. 1936. 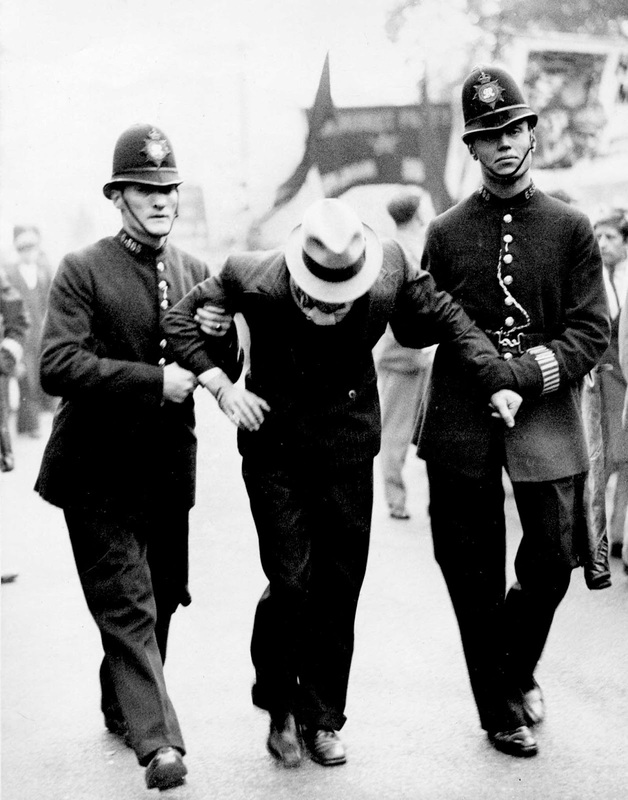 Policemen arresting a demonstrator when Fascists and Communists clashed during a march led by British Fascist Oswald Mosley in London’s East End. 1936. 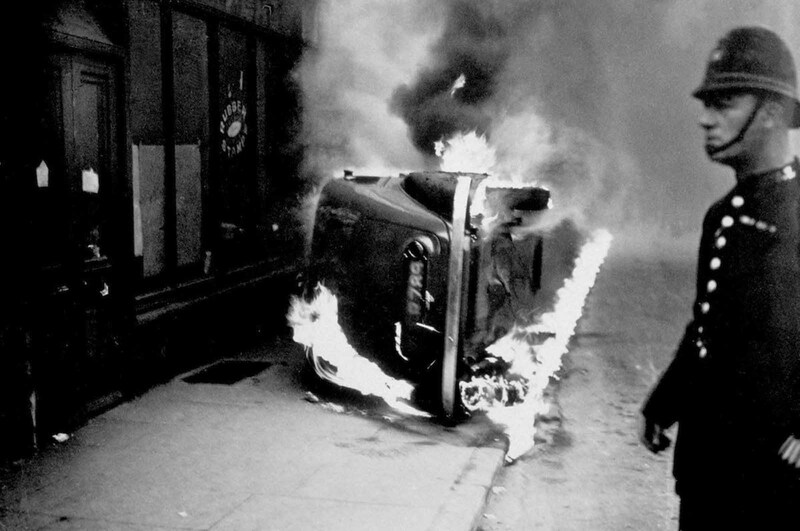 A policeman stands by a burning car, set alight during a communist march in the East End of London. 1936. A participant at the ‘Communists’ March’ from Tower Hill to Victoria Park in London, is marched away by police after being arrested. 1936. Policemen chasing Communist counter-demonstrators at a Fascist demonstration near Mark Lane, London. 1936. 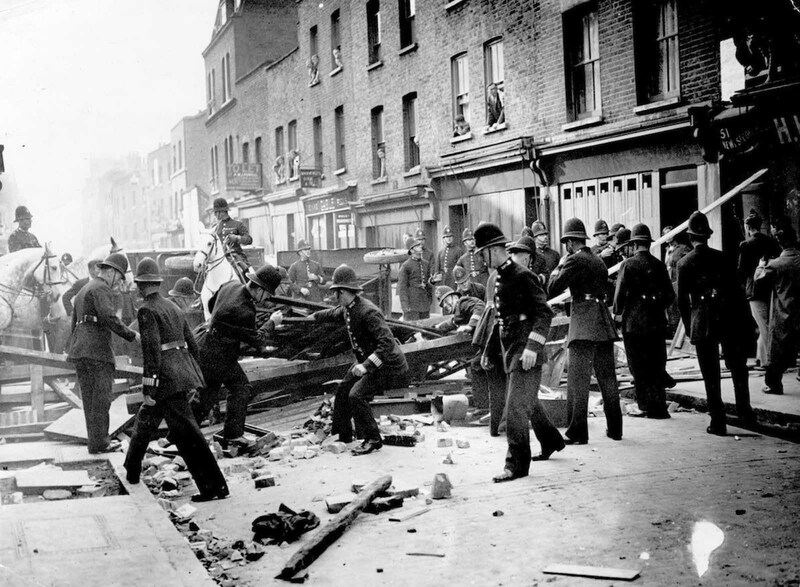 British policemen dismantle a barrier near Mark Lane, London, to make way for a march by supporters of the leader of the British Union of Fascists Oswald Mosley. The barricade was constructed by members of the Communist Party. 1936. 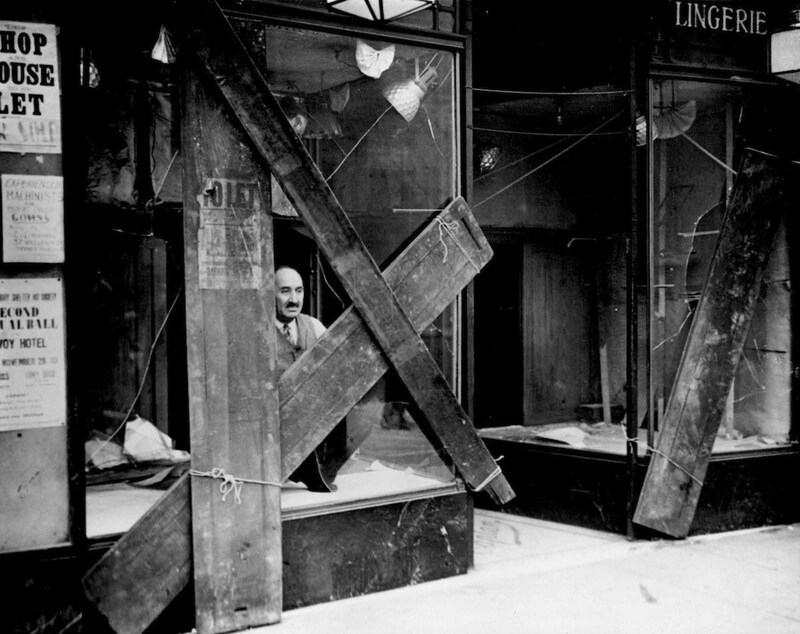 A Jewish shopkeeper peers out of his boarded up window in Mile End Road after a night of violence between Fascist and Communist factions in the East End. 1936. 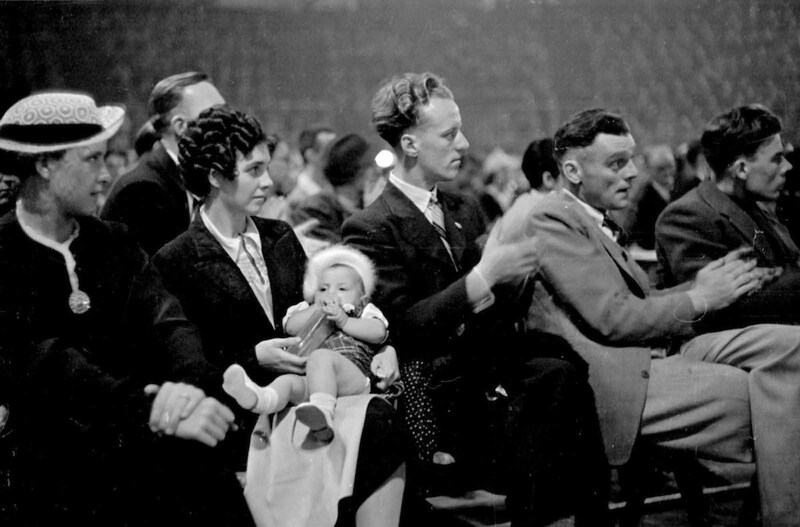 Members of the crowd at a meeting of the British Communist Party at the Empress stadium in Earls Court, London. 1939. 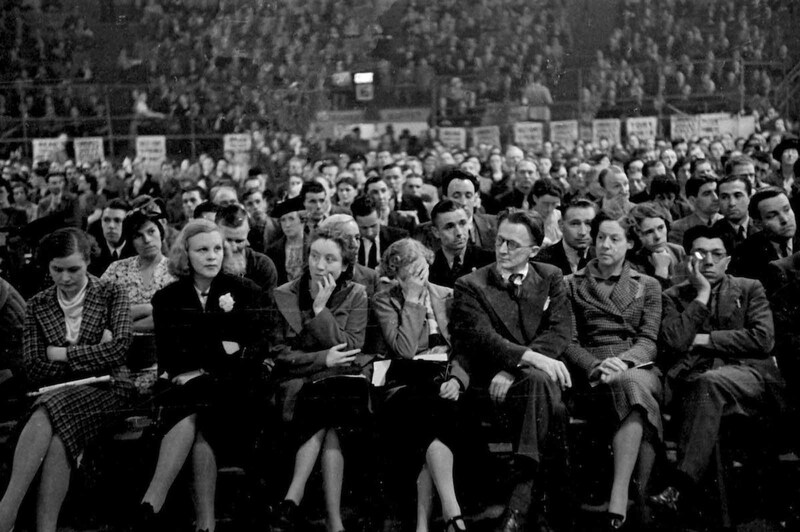 Section of the crowd attending a meeting of the British Communist Party at the Empress stadium in Earls Court, London. 1939. 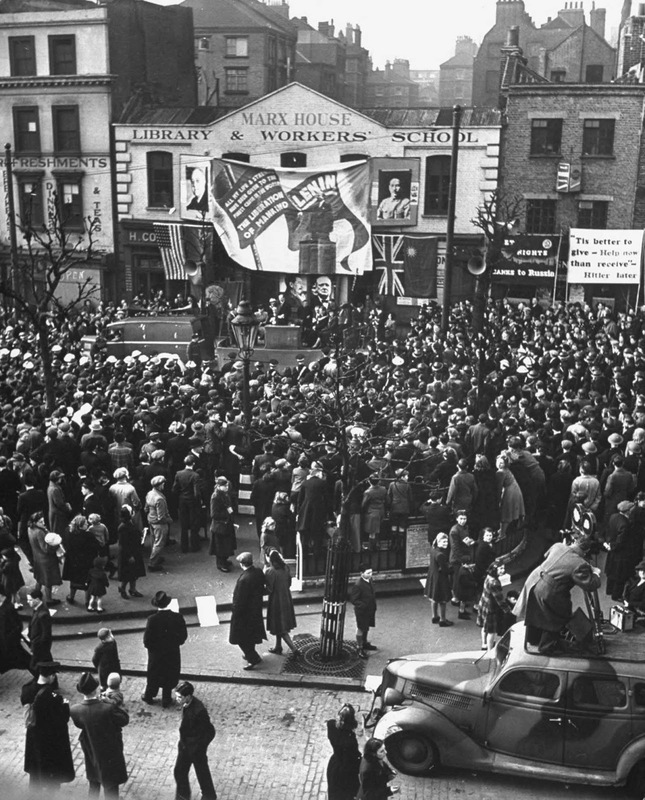 A crowd of over eight thousand people attending a meeting of the British Communist Party at the Empress stadium in Earls Court, London. 1939. 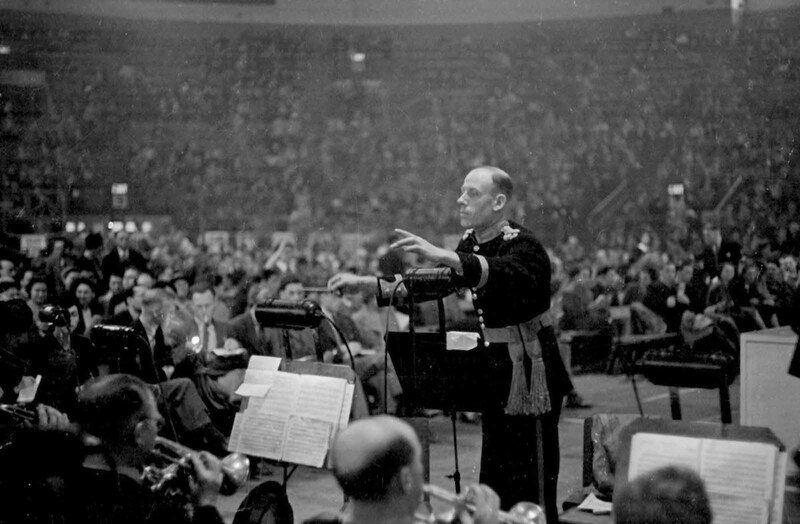 A band leader conducts his band at a meeting of the British Communist Party at the Empress stadium in Earls Court, London. 1939. 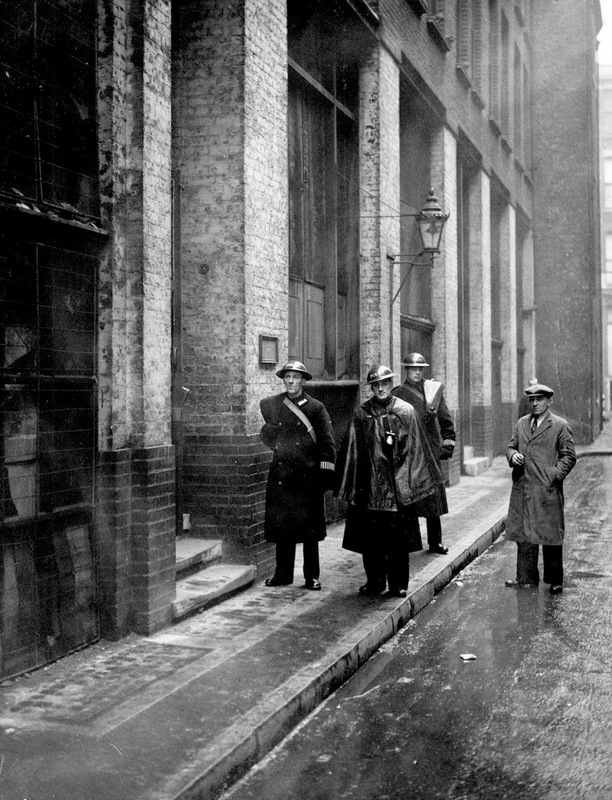 Police on duty outside the offices of ‘The Daily Worker’ Communist newspaper on Cayton Street, East London. On the evening prior to this detectives enforced a suppression order issued against the publication by The Home Secretary, Herbert Morrison. Printing was stopped immediately. 1941. 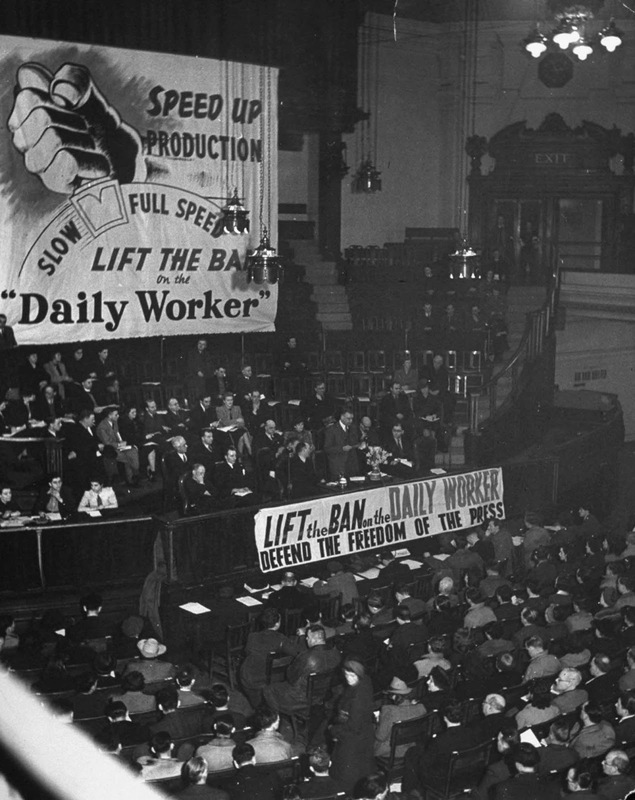 Meeting in the Westminster Central Hall, London, organized by the Communist Party to gain support for the campaign to lift the ban on the Daily Worker newspaper. 1942. Mass demonstration at Clerkenwell Green in front of Karl Marx’s house, now the headquarters of the Communist Party in London. 1942. 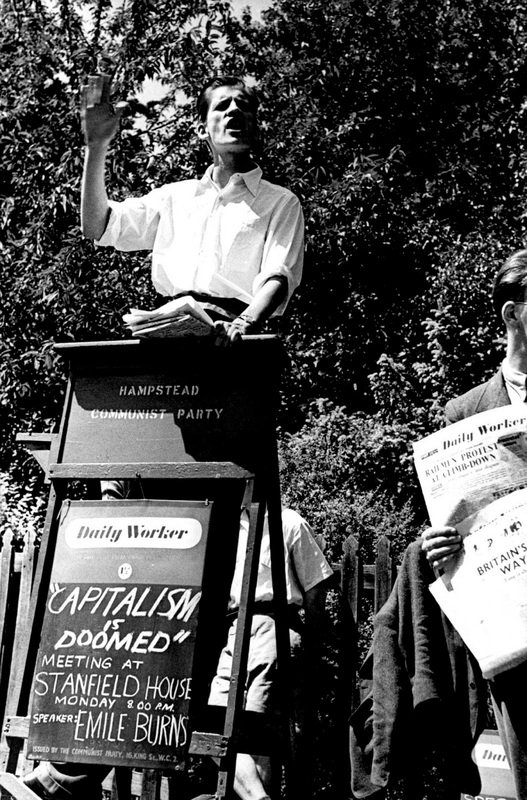 A member of the Hampstead Communist Party addresses a rally. 1952. 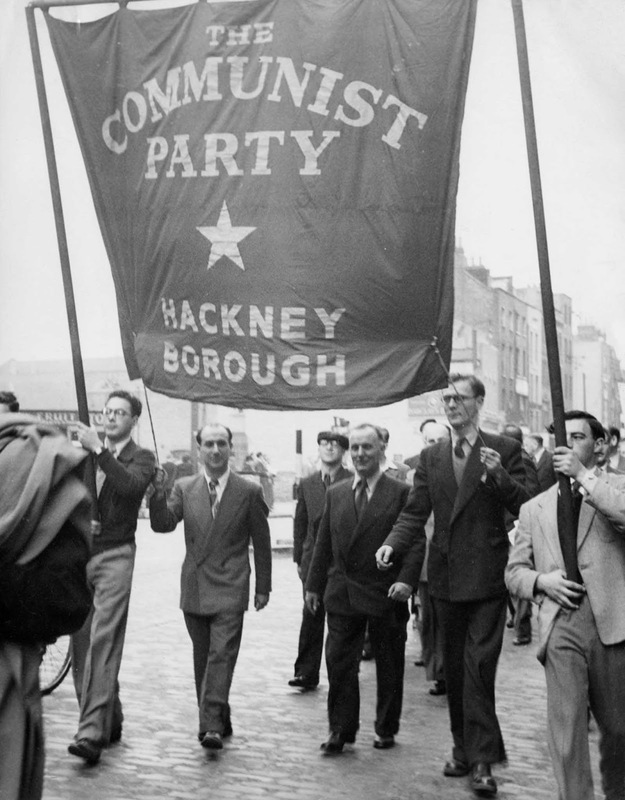 Members of the Hackney branch of the Communist Party of Great Britain take part in a march. 1952. Communist party rally, Trafalgar Square, London. 1958. 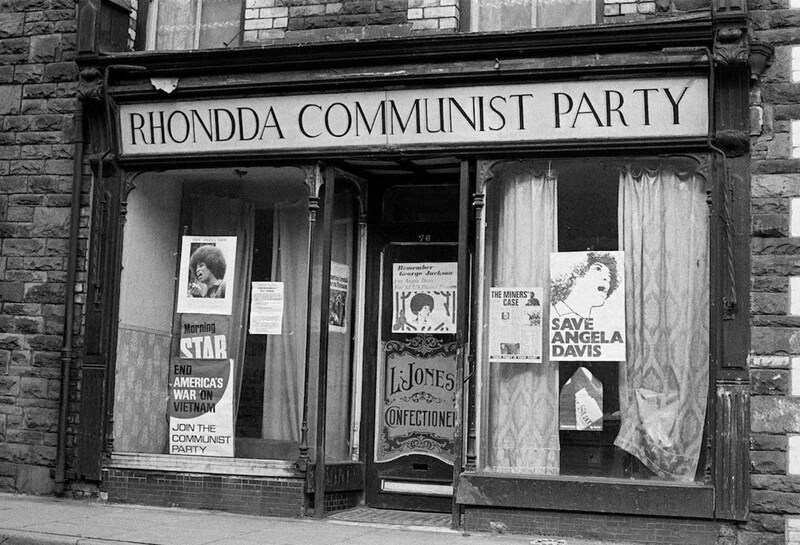 The headquarters of the Rhondda Communist Party in Wales. In the windows are posters of American political activist Angela Davis. 1972. 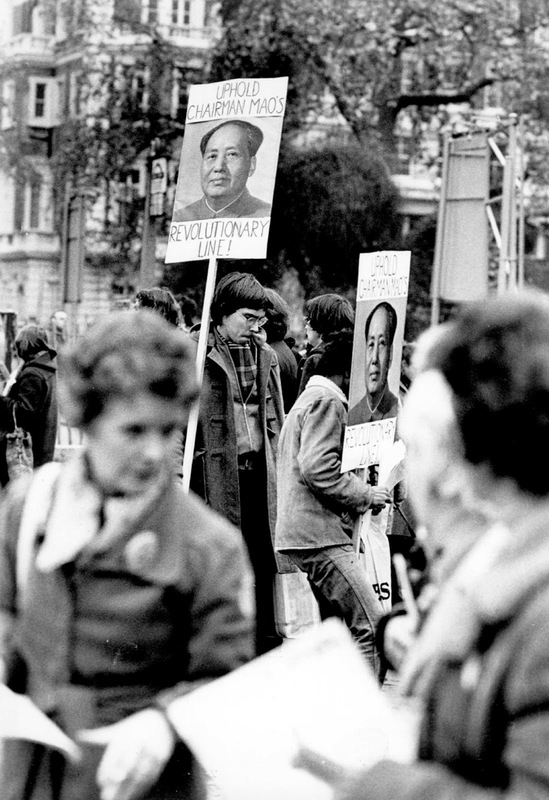 Demonstrators holding posters with pictures of Chairman Mao Tse Tung and the slogan ‘Uphold Chairman Mao’s Revolutionary Line’. 1976. A poster for the British Conservative Party from the 1983 General Election. 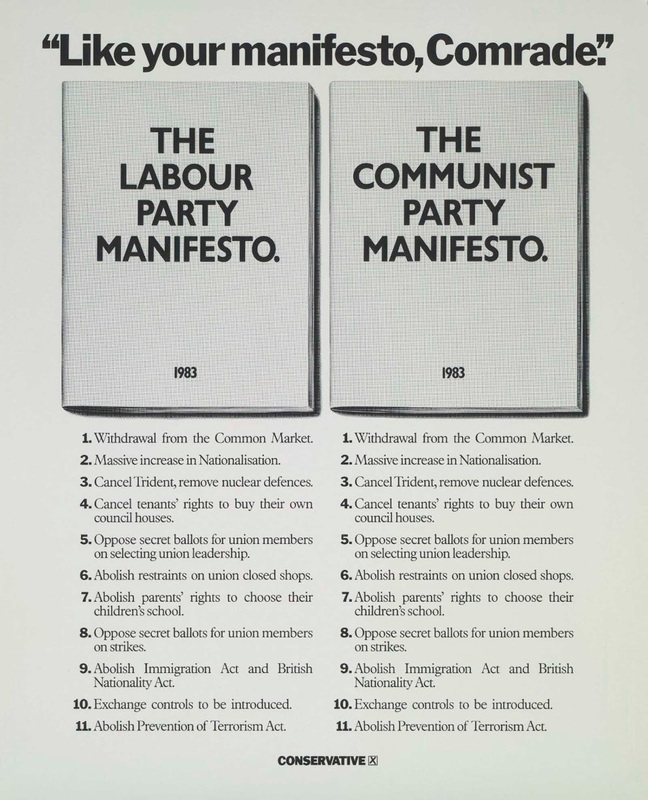 It compares the Labour Party Manifesto to the Communist Party Manifesto, with the caption ‘Like your manifesto, Comrade’. 1983. (Photo credit: Conservative Party Archive / Getty Images). 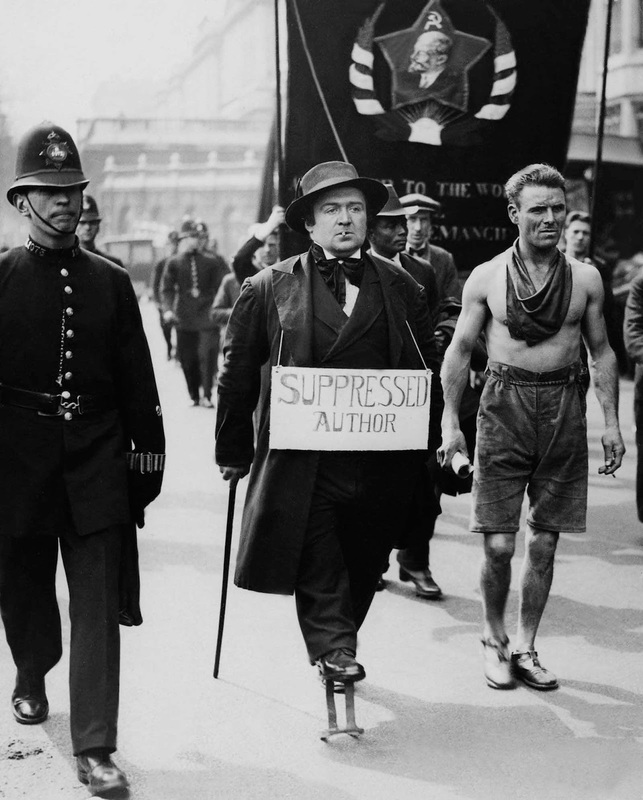 Ahh these guys were the heroes of cable street. a small victory maybe but a huge step in opposing fascism in the UK. Ah, the good old days when Russia meddling in Britain's and America's elections was no big deal. Fascinating! Several historical points. 1. 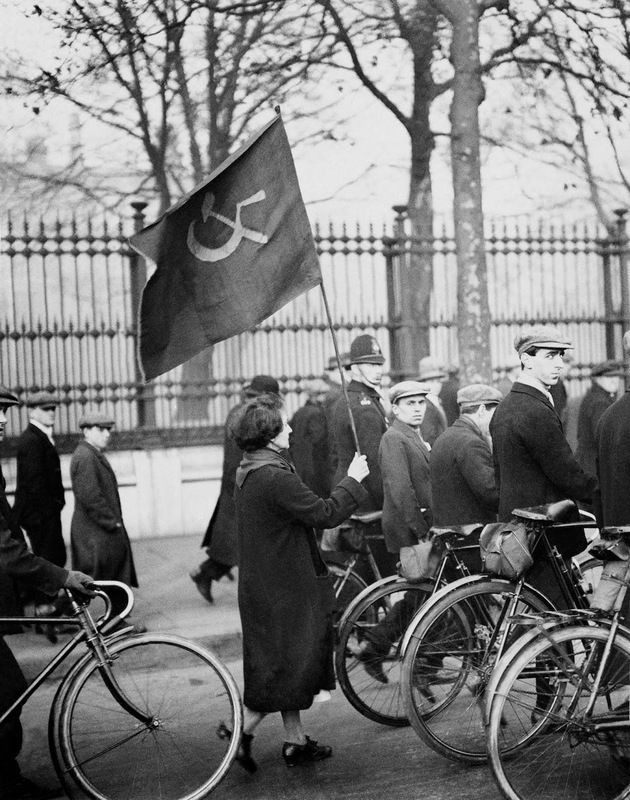 Very few CPGB members in the 30s had any idea what conditions were really like in Russia. 2. 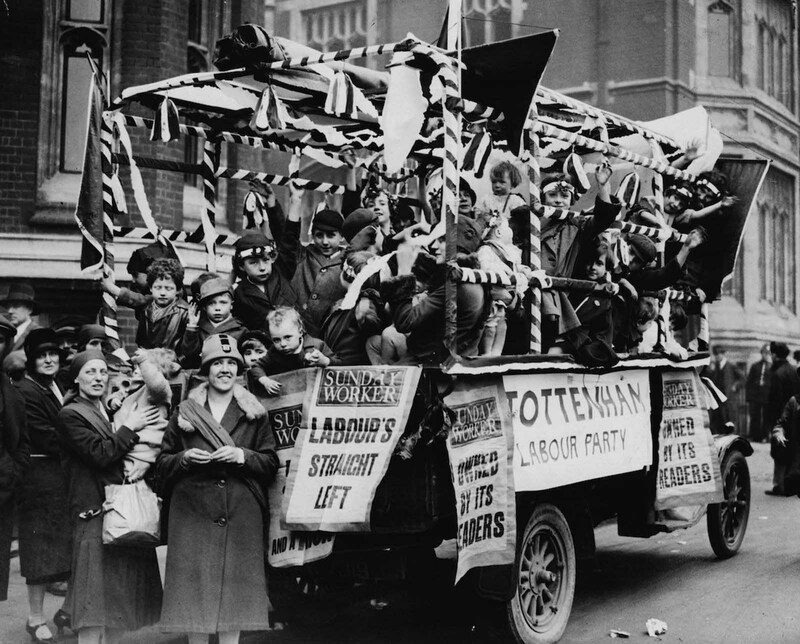 The Cable Street riots involved thousands of ordinary working people, who despised fascism. Only a tiny but vociferous minority were communists. 3. The CPGB had a real problem in WW2. Initially they worked against Britain, creating dissent and industrial problems, as Russia was allied with Hitler's Germany. 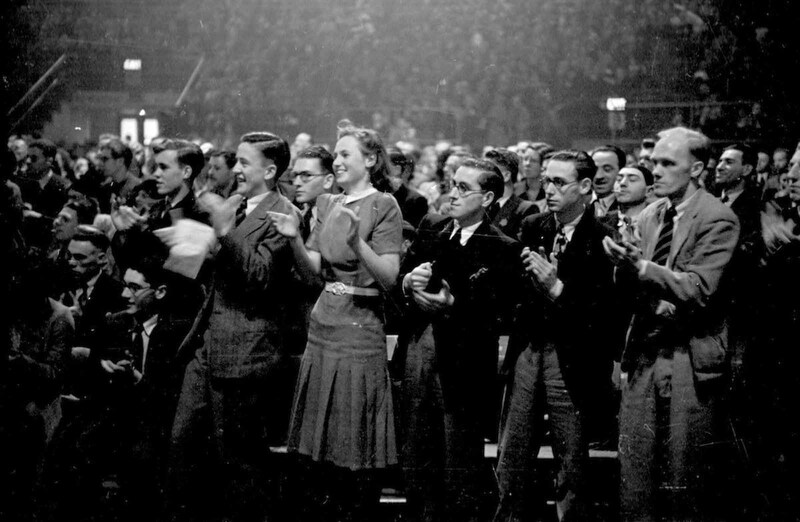 When Hitler attacked Russia in 1941, they changed overnight to noisy support of the British war effort. Many members coped wonderfully with this change, as Russia was always right. Many others were disgusted and left the party. This legacy of distrust carried on for years, and ended the "innocence" of the 1930s support. 4. After WW2 the British State infiltrated and tracked the CPGB with great success. MI5 History is very revealing on this. The long hand of Russia carried on influencing through the rest of the 20th C, and is still at work today, though no longer communist. Summary: Idealism - OK! Communism = rotten to the core. As they say at college - discuss!